I grew up being active, playing sports, and chasing wild animals in Alaska but never really running much. I ran a year of cross country in high school and occasional 3-4 milers in college when my pants got tight. Funny how it’s your pants that get tight and not you that gets fat, right? After getting engaged I started running more often, but after the wedding I didn’t run consistently, taking months off at a time. Side note: the “Why run, I got the boy on lock” is generally not a waist-friendly attitude. Once you don’t run for awhile, it gets harder and harder to start again, and then when you do, you run so slow and breath so hard that you wonder if you might have developed asthma in the last week or if you were born with a black lung and never knew it. Hey, it could be possible, right? Fastforward to spring of 2008. My girlfriend asked if I wanted to run the Nike Womens’ Marathon and Half in San Francisco in October. Being dumb, naive and not thinking we would actually get in, I said yes. We got in, signed up for the half, and all was gravy (obviously in denial at that point). 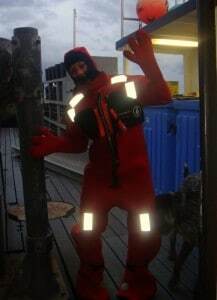 I headed up to Alaska to go fishing, expecting to get back in August and start training. Not only was the race two weeks away but I went on a weeklong cruise to the Carribbean in that time span too. Wahhhh, life is tough; feel bad for me. I did run once for 30 mins on the ship, but that was the extent of my half marathon training. Official, right? So the race comes and I’m bound and determined to finish whether I have to knock someone out of a wheelchair or borrow some kid’s wheelie shoes, I am gonna get my Tiffany necklace from the tuxedo’ed firemen. God listened to my nervous cries because I had a great time and ran the entire thing. I actually, dare I say, liked it?! It probably didn’t hurt that they were handing out Ghiradelli chocolates on the course. I ran with my friend, finished in 2:15, and the fun run passion was ignited. That race was one of my prouder moments of my short running career because I had literally ran two 30 and 40 mins training runs before running my first half. Since then I’ve started running more races because it gives me motivation to keep running. I don’t really consider myself a runner because I don’t follow a training program; I don’t do tempo runs, sprints, track workouts, etc. I just try to run as much as possible to stay in shape. And to not have to buy bigger pants. Some weeks that’s a lot and other weeks the couch whispers sweet nothings in my ear. I always try to beat my personal time in a race, but it’s not a big deal to me if I don’t since I’m really just running to burn off the cupcake the size of my head that I ate last night and not trying to beat Pre’s records. 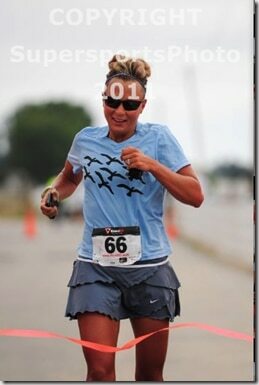 I ran my first marathon in December 2009, qualified for Boston and kept on running more marathons. I’ve run 41 marathons in as many months (while taking months off in the summer to commercial fish in Alaska). I run because it keeps me sane… and that whole buying bigger pants thing. Yay I love this story! Awe! Thank you so much for doing this. You are truly a beautiful person inside and out. Inspiring to say the least. So glad I found this blog site place thingy… never done this before. I have ran one 5k in my life. The color me rad 5k. Doing it again in May. Started training about a month ago(you probably think that’s hilarious, training for a 3 mi jog after jumping strait into a half marathon). I am so tired of being a fatty. I eventually want to do a half marathon and always be in shape for one and possibly do a full marathon. Who knows? Thanks for what you do. I’ll be checkin’ back in for sure trying ta get myself a little motivated when I need it! cute story. I just ran in my first race (albeit the measly 2 mile option) for the American Lung Association’s Corporate Cup 10K. It was a lot of fun considering I’m SO not a runner. It felt good to run outside in the morning. I’m running in the Race for the Cure’s 5k in 3 wks. I hope to run the whole thing, not walk…we’ll see. i love it! you are so funny…and gorgeous!i can feel how genuine and honest you are, it’s so refresing after reading so many other food/exercise blogs. for me, it was just keeping with it a little bit at a time. 3x a week for 10 minutes. walk 3 min run 1, 6x in a row. increase every week. one month later I was running 20 minutes, 2 months later 45 minutes. good luck. I find it much easier to run outside, because then you have an initiative (having to go the whole way, or at least come back home) and it’s SO much prettier. Whenever I run on a treadmill I can’t go very far because when I get tired, I just stop, but when I’m running I keep going and push through the pain/fatigue and all that. I ran the PCRF this morning, and in an attempt to find the photographers that were on the course I google’d, and wound up here instead of brightroom.com. Glad it worked out that way. ANYWAYS, if I’m correctly matching a face from the corrale to the face here, I need to know where you got that fantastic running skirt. And if you weren’t wearing a coral skirt this morning, and have no idea what I’m talking about, carry on. I’ll be following your blog anyways. Sarah, was the the Palm Springs/Klein Sports half? I ran that this year on Valentine’s Day. My favorite – – flat. I’ll be 49 in a few weeks and the mother of four (17-23), so flat is fine with me… though I want to do Napa/Sonoma in 2011 to celebrate the big five-ohhhhh, that, and it sold out this year before I could press- ENTER. its as flat as kate hudson pre enhancements. very flat and fast course, i’d recommend it. Loved PS in February, and warm too. Hope SD is as flat. = ) Might be back for LA. Either Phila-RnR or LA… tough choice, NOT! 1.) How do you motivate yourself to wake up early to run? 2.) Are the first 10 mins of a run ever hard for you? do you ever need a “warm up” period, and how do you deal with it? 3.) Do you stretch before or after a run? Just curious, did you ever run the Boston Marathon? You say you qualified for it in 2009. This is a tough race to qualify for. I don’t see you blogged a review. As a fellow cross-country athlete and marathon runner (well okay only one marathon), =). you make me consider coming out of running retirement! i LOVE your story SR and your entire blog!! i am far from a runner, but i love living vicariously through you! Hey SR! Love the blog. Great story! I ran Nike Womans for my first full. That made me want to go find my necklace, lol. That is awesome that you can run marathons all year long! It takes me like a month just to feel normal again after a full. You rock! Girl I love your story! I’m just now getting back into my running routine & you’re right – it does make you wonder if you were born with a black lung lol! Your blog is hilarious! love it! I just found your blog and I will certainly be following. I can relate to your interest in running on so many different levels. And an added bonus…you’re hilarious. The honesty in this blog is refreshing. Seriously. I just finished a marathon up in San Fran and wrote about it on my own blog. 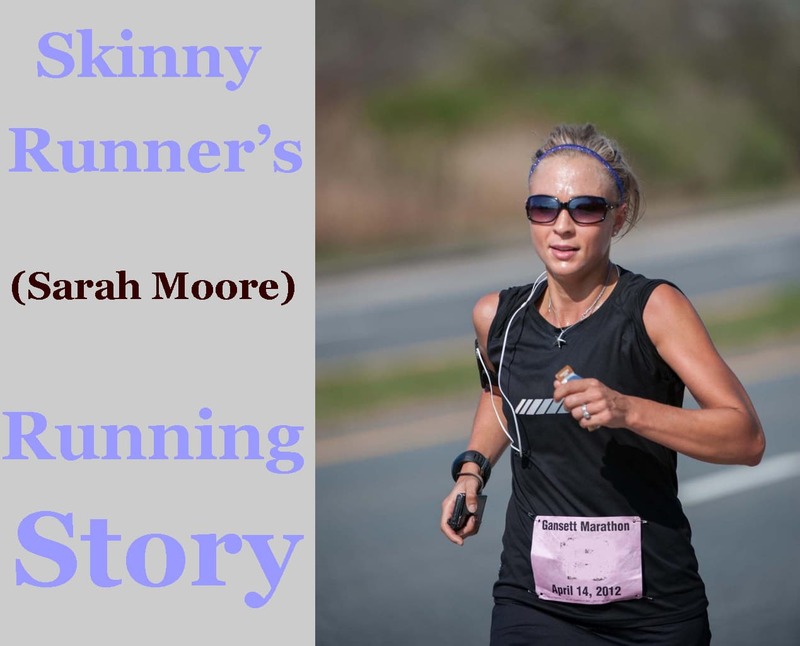 I just found your blog today and lovelovelove reading about all your running! So motivating for someone who is trying to increase her own running distance (and consistency). I started my own blog a few days ago so hopefully I’ll be as successful as you in TWO areas eventually 😉 Keep it up! That’s awesome that you did your first half after just running 30-40 minutes a few times. Meanwhile, I’m freaking out about the fact that I only have 4 weeks left until my first 10k! haha!! Thanks for sharing your stories! You’re my new favorite inspiration… yeah TEAM SKINNY!!!!!!!!! Have you thought about getting a coach to help achieve your running goals? Sometimes it isn’t about training hard and flogging yourself with miles (and more marathons) – it is more about training smart and cultivating your speed. Ah well. At least you accomplished the goal of looking fab while running! nope because I LOVE running and running marathons. id rather run more races than run faster. I have an improved appreciation for my own mother! I discovered your blog a few months ago and I LOVE it! I find it so inspiring, and you get me out the door on days I’m feeling lazy. I’m running my first full marathon in September and every time I get overwhelmed or start calculating how many trips to the convenience store a marathon works out to, I think of your MAN UP WEEK and it seems so much less scary. I can’t wait to read more!! You have probably answered this already, but who has the time to read the comments? 🙂 What was the 50k that you are so happily chowing down on the candy? Looks like a neato torpedo location! it was a local 50k in long beach, ca. ithink it was called rocket racing. Thanks so much for sharing your story! It’s really inspiring. I just ran my first half marathon, and it was pretty much the same thing you went through. I didn’t train at all, but I had heard you should be able to run 10 miles before doing a half so the Saturday before the race I set out and willed myself to run 10 miles even though it took me a long time! I finished the half in 2:20 and feel pretty good about that considering the no training thing. The race was so much fun that I’m planning to challenge myself and sign up for my first marathon! I think I’m actually going to train for that one though. 🙂 Love your blog! Thank you. You are so inspiring (and hilarious)! I am fairly new to your site and a new marathon runner. Thanks for the many posts and recaps. Question for you…about how many miles per week do you run? In my training I found that when I went over 35 miles a week my joints REALLY hurt me, IT band issues, back issues, etc. When I dropped down to just under 30 the problems seemed to go away on their own. I would LOVE to run as often as you do…how can I build up my joint’s tolerance? I love your story! I recently got in shape and signed up fro the San Fran Nike Women’s Marathon and half. I’m only doing the half I’m super nervous but determined to finish. I love your posts your recommendations and your outlook on life! Nike San Fran was my first half too and it got me hooked on running for the long haul! I just ran the Nike Women’s DC half and it was amazing. It’s a must do! As a fellow “average jogger”, I love your story. Your personal touches, perspective, and writing are really a joy to read. Thanks for the story. I look forward to reading your posts.